PREPARE THE VINAIGRETTE by mixing the vinegar with honey and mustard. Add salt and pepper and slowly add the oil, mix well and taste for correct seasoning. Set aside. JULIENNE THE APPLES, radicchio and the cheese and season with the vinaigrette immediately. 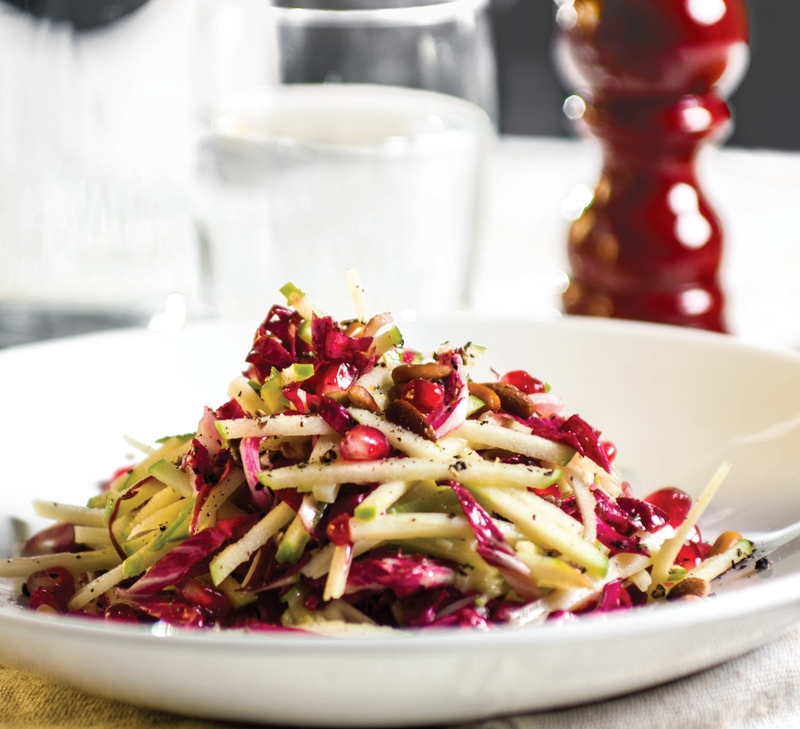 Toss well and place on a plate garnished with toasted pine nuts and pomegranate seeds.